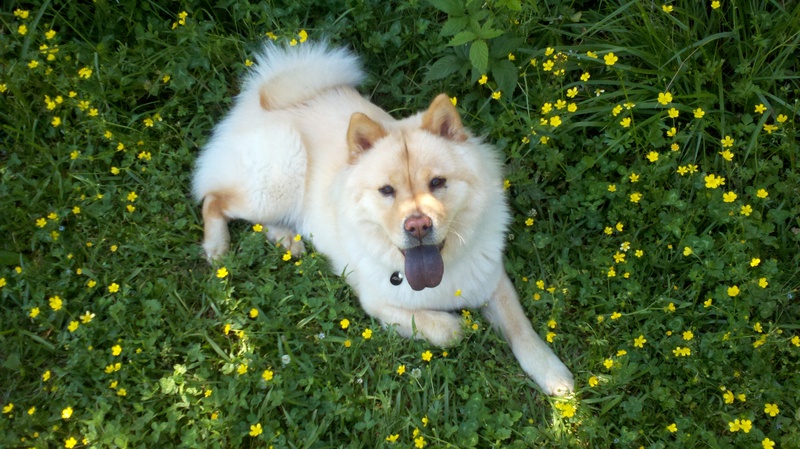 Meet Ava, Leesa’s creme Chow Chow! 1. Provide frequent, clean water — Like us, dogs are mostly (roughly 70 percent) made up of water. On average, dogs need “8.5 to 17 ounces of water per 10 pounds (55 to 110 milliliters per kilogram) per day.” There could already be bacteria or other unwelcome things in your dog’s water bowl, so incorporating nice clean water is important. If you make it a point to drink filtered water, make sure the water you give your dogs is also nice and clean. 2. Feed them more raw foods — Dogs are also what they eat. They probably don’t want to eat “food” that’s constantly recalled and pulled from the shelves because other dogs are dying from it. A raw food diet — or even a more raw food diet — that you prepare at home is a sure way to help your dog get the nutrients that he needs. If you’re interested in this, look into what your dog needs for a full, healthy diet, and consult your veterinarian to make sure it’s the right choice for your dog’s health. 3. Practice the art of Doga — Doga is yoga that you and your dog (or other pet) can do together. If yoga’s not your style, then good ol’-fashioned exercise will get the tail wagging. 4. Take a mindful walk — This also falls into the exercise category, but walks aren’t just about your dog. Your energy and presence matter, too. Be confident so that your dog wants to follow you; it’ll also help you avoid the less pleasant aspects of walking a dog, e.g. pulling you. The Natural Dog Blog recommends focusing and playing-training for you to truly walk with your dog in a mindful way. 5. 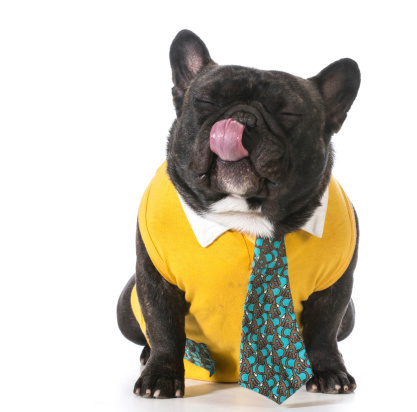 Make your dog work — Dogs actually like to work. Give your dog some life purpose by giving her a job. Her breed and natural quirks will help you decide the job for her. A few common examples are making her carry a backpack with your personal items, fetching things for you because you’re too lazy, guarding the house or chasing the cat (just kidding!). 6. Go on a doggy date — Your dog should definitely not be anti-social. There’s nothing like a dog chilling with another dog. Even if you don’t have your own dog pack, training classes, dog parks and dog meet ups are easy ways meet new dogs. Dog socialization isn’t just about making your dog happy and entertaining the humans with their antics. Dog socialization will boost your pooch’s confidence and make them more reliable. 7. Stimulate their mind — Play is the no-brainer way to engage your dog’s mind. You can use it to simulate the thrill of the hunt or stick something tasty in a toy that makes your dog forage for food like his ancestors. You can also get your dog’s mind going by learning a new trick or giving him a new challenge. A word of caution about dog toys: Part of human holistic living is avoiding toxins and chemicals that are not good for our bodies. Well, they aren’t good for our pets either, but many dog toys are full of them. The Bark notes how many dog toys imported from China are full of carcinogenic and poisonous heavy metals, e.g. cadmium, lead and chromium. Avoid dog toys that reek of chemicals, use bright colors or have fire retardants or stain guards. Never assume that a toy is safe just because it’s made in the United States, either. 8. Unwind with a dog massage — When the fun and excitement is over, it’s important for your dog to unwind. Like us, a good massage can help with that. Holistic Veterinary Healing lists the Tui Na massage as an effective technique to help your dog’s joints and muscles. 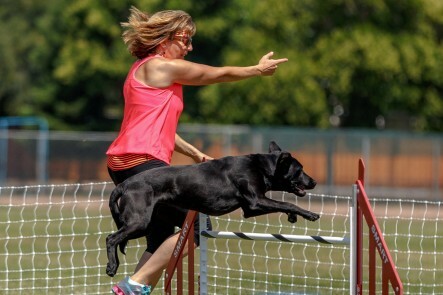 The technique is used to prevent injury, restore joint and tissue function, improve their performance and endurance and prevent the loss of joint mobility. Another massage technique involves no physical contact. 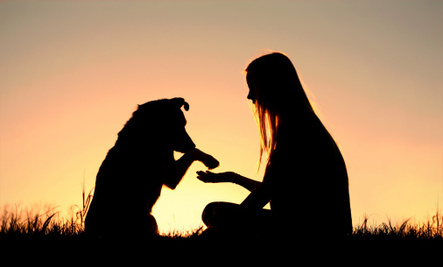 Reiki for dogs works to align all of their chakras from head to tail and remove their pent up negative energy. Your Holistic Dog has more massage tutorials that will walk you through giving your dog the perfect massage. 9. Relax with some musical therapy — You can also let some music do the relaxing for you. A calming tune offers more benefits than pure relaxation. 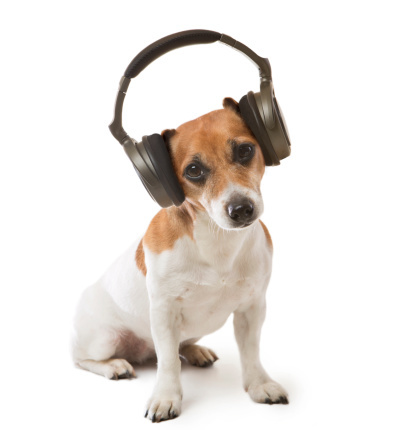 Pet MD explains that “music causes changes in brain activity, neurohumoral, cardiovascular and immune responses.” While there are many recordings to choose from, studies show that classical music is especially effective. 10. 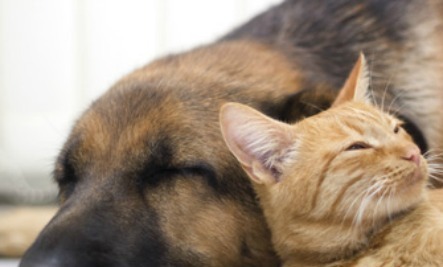 Find a holistic or alternative vet — If you’re loving the idea of holistic medicine for your pet, then there are vets with holistic and alternative trainings. The American Holistic Veterinary Medical Association helps you find an accredited vet where acupuncture, aromatherapy, herbal medicine, dog chakra clearing and homeopathy are the norm. You can also check out International Alliance for Animal Therapy and Healing and International Veterinary Acupuncture Society for more information. Bonus Tip: Be balanced, be happy — I’m not sure if it’s because they study us every day or there’s some ethereal soul contract at play, but our dogs are truly our mirrors. If you strive to live your best and most holistic life, then you’ll give them permission to do the same. Now that’s a gift. Leesa recommends a visit to Bella and Ava’s Best on her website, www.healthyhighway.org, where you will find products and services made it onto Bella and Ava’s 5 paws up list! Want to lead a more holistic life too? Would feeling fantastic every day make a difference in your life?